Featuring a soothing luxury spa and rooms with private balconies overlooking the beautiful Pacific Ocean, Malibu Beach Inn lies 10 miles outside downtown Malibu. Free WiFi is available. The Malibu Beach Inn offers all-oceanfront rooms with contemporary wood furnishings and a hand-picked selection of wines. The digital entertainment center features music, games and a flat-screen TV with extended cable channels. The Malibu’s Carbon Beach Club serves coastal cuisine indoors and on a beachfront terrace. The restaurant’s specialty seafood and meat dishes contain fresh produce from local growers. Malibu Beach Inn guests have direct access to the private beach. Veronica's Skin and Body Care Spa offers offers a menu of exotic massages and treatments that can also be performed in guests’ rooms. Malibu Beach Inn is 2 minutes' walk from the Malibu Pier and 12 miles from downtown Santa Monica. When you stay at Malibu Beach Paradise Apartments in Malibu, you'll be by the ocean, a 2-minute drive from Malibu Lagoon State Beach and 7 minutes from Pepperdine University. 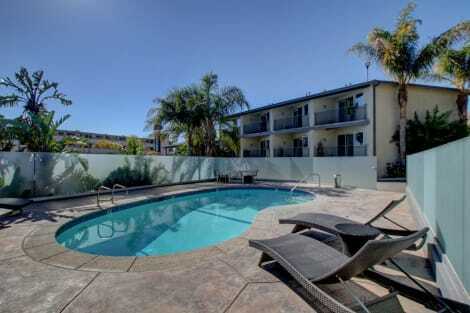 This beach apartment is 9 mi (14.5 km) from Santa Monica Beach and 10.6 mi (17.1 km) from Third Street Promenade. Make yourself at home in one of the 70 individually decorated guestrooms, featuring iPod docking stations and flat-screen televisions. Your pillowtop bed comes with premium bedding. Private bathrooms have designer toiletries and hair dryers. Conveniences include phones, as well as safes and desks. lastminute.com has a fantastic range of hotels in Malibu, with everything from cheap hotels to luxurious five star accommodation available. We like to live up to our last minute name so remember you can book any one of our excellent Malibu hotels up until midnight and stay the same night.